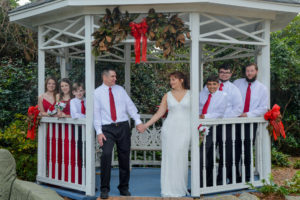 William Dallas and Renee Moore were united in marriage before their family and friends on Wednesday, December 28, 2016 in the chapel at Wedding Chapel by the Sea in Myrtle Beach, South Carolina. Rev. Rob Heinz officiated. The couple will reside in Myrtle Beach, SC.